Faucets contain moving parts and they break or begin leaking over time through normal wear and tear. Whether the faucet is part of a kitchen sink, bathroom sink, bathtub or shower, laundry room, or even a water shut-off valve; our experts have the knowledge and experience to help solve any of your faucet issues. Is your drain clogged? 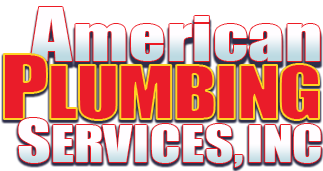 We can also solve any clogs; repair or replace an existing sink or install a new one wherever you need it. It does happen. Faucets can break over time and when this happens water begins leaking all over your walls and floor. What do you do if you find yourself in this situation and are not sure how to shut off the water? First, look beneath the sink for the water shut-off valves. There are two valves to look for, a cold water shut-off valve and a hot water shut-off valve. Turn the handles clockwise until the water stops pouring out of the faucet. Sometimes water shut-off valves will freeze up from lack of use. If this happens, get a pair of pliers and slowly turn the knob back and forth until the inner rubber seal loosens. 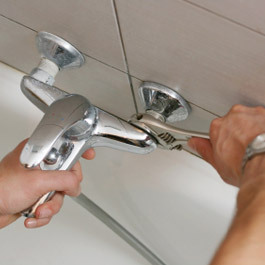 Do not force the handle all at once or it may break and cause even bigger plumbing problems. If the valve spins freely and will not turn the inner seal, tighten the set screw on the face and try again. Our skilled professionals are located in Palmdale and Lancaster, CA and can handle any faucet repair or replacement needed throughout the Antelope Valley. 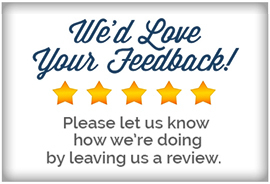 Once you successfully turn off the water contact us to help solve your faucet problems.